All technology on planet Verde broke two centuries ago, but Fritz Reinhardt has the power of hyper-intuition. He figured out how to fix it, and now he dreams of a worldwide restoration making daily life easier all over the world. It was a big deal for quiet and socially awkward Fritz to make his dream public, but the benefits of repairing pre-Blackout antique relics are too enormous to ignore: more education, better communication, and longer life expectancy. 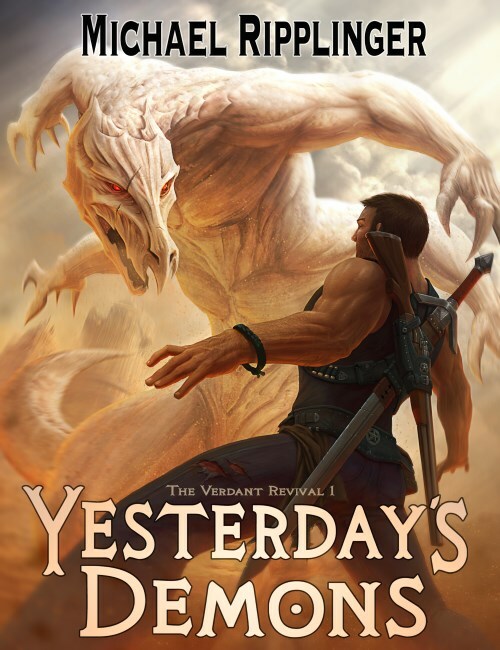 When he was a boy, Siv McCaig came face-to-face with a monster. After a childhood lived in fear, he encountered it again. Siv just wants to work his trade as a blacksmith, play cards at the saloon, and watch the stars. But he’ll never be at peace without answers. What was the monster that burned down his house? Where did it come from? And will it ever come back again? His search becomes a battle for his planet’s survival. Only two things might keep all of Verde from falling to the horrors of Siv’s nightmares, but they’ve been lost for two hundred years: technology and magic.